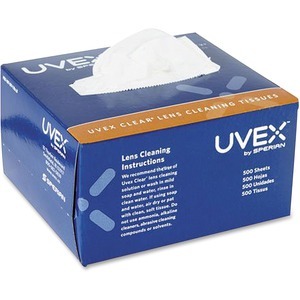 Tissues contain lens cleaning solution that is specially formulated for anti-fog and scratch-resistant hardcoat lenses. Cleaning tissues provide quick access for convenient cleaning. Solution does not contain silicone.